VISIONPiLATES first opened its door in September 9, 2009. Our studio has been designed to embody its intention to be home to a thriving community of happy and healthy people whose lives have been profoundly transformed by Pilates and other mindulfness-based practices. The studio occupies 1,800sq of purpose built space and is fully powered with the complete range of STOTT PILATES™ equipment and GYROTONIC® Expansion System. Our studio's packages include complimentary use of our locker, shower and dressing room facilities. The shower rooms equipped with water heaters as well as shampoo and body wash. Our facilities make it easy for members to move on to their next appointment feeling completely refreshed and reinvigorated! Each of every one of our Instructors represents the spirit of VISIONPiLATES: Driven and commitment! Our team’s vision is to make VISIONPiLATES the only venue of choice for your Pilates exercises! In VISIONPiLATES, Ginny is our Senior Trainer. Her primary responsibilities focus on Rehabilitation Pilates and supervising the Team. Ginny is the Key Trainer for Rehabilitation and Special Populations groups. She teaches Private, Duet or Trio Pilates, Pre/Post-Natal Pilates, Diastasis Recti Recovery™, Scoliosis, Gyrotonic®, Gyrokinesis®, Starter Pack/Mini Courses for Beginners, Core Barre and Advance Group Reformer sessions. Ginny is the Founder of VISIONPiLATES. Since 2002, Ginny has been studying, practicing and teaching Pilates. She was a fully certified Mat, Reformer, Cadillac, Chair, Barrels and small apparatus. In 2004, she gained her certification in pre and postnatal Pilates from the Center for Women’s Fitness. The following year 2005, she completed the STOTT PILATES® Rehab Based “Injuries and Special Populations” training, Toronto, Canada. This rehab training has further enhanced her knowledge in handling different rehabilitation groups. 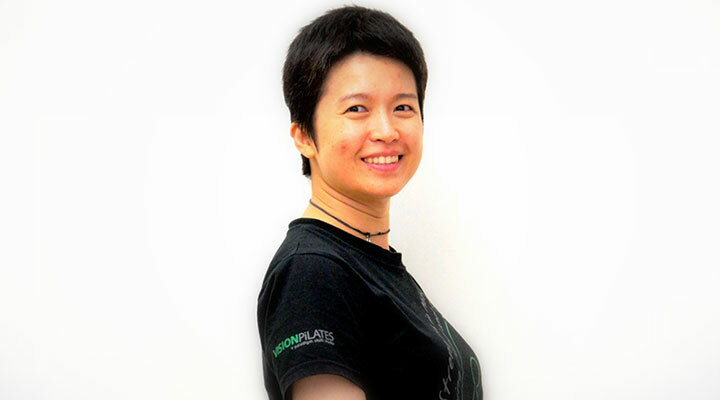 In 2008, she was the first Malaysian to receive her Instructor Trainer status with STOTT PILATES®. She played a key role as a Proctor Examiner for STOTT PILATES® Certification Examination for Asia Pacific region. 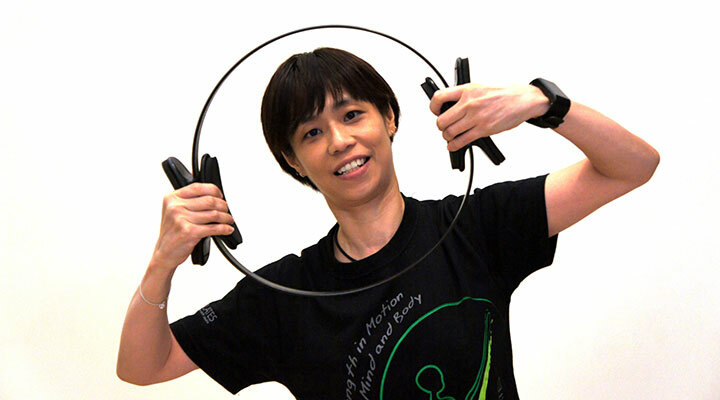 She also completed her GYROTONIC® Teacher Training Course in 2009 with a certified Master GYROTONIC® Instructor Trainer, Ms Dawnna Wayburne in Hong Kong. Ginny is a certified GYROKINESIS® and GYROTONIC® instructor. In 2014, Ginny decided to continue her Instructor Trainer career with Pilates Academy International (PAI), headquarter in New York, USA. She also gained her Instructor Trainer status for CORE BARRE. The CORE BARRE System of Smart Movement® is a group based exercise programme that combines elements of Pilates mat, classical ballet, resistance training and Active Isolated Stretching (AIS). She continued her trainings and certified in CORE REFORM, CORE SUSPEND, Cardiolates™ and Pilates for Menopause in the same year. In 2015, Ginny attended intensive course for AIS and learnt more comprehensive method of muscle lengthening and fascial release. Over the years, Ginny strives to promote the awareness of fitness and healthy lifestyle through Pilates and Yoga. She travels extensively to Canada, United States, Australia, Singapore, Hong Kong for teachings, conferences, certification courses and workshops to upgrade her knowledge in the realm of Pilates and movement. In mid 2017, Ginny travelled to United States further expanding her Pilates knowledge into Classical Pilates methods. Early 2019, she gained the Apprenticeship status from Romana’s Teacher Training Programme to continue her Classical Pilates journey. She is currently our Senior Trainer. In VISIONPiLATES, John holds the Senior Instructor for Rehabilitation (Slipped Disc, Socliosis, etc) and Special Populations groups. He teaches Private, Duet or Trio Pilates, Pre/Post-Natal Pilates, Starter Pack for Beginners, Group Reformer and Group Mat sessions. John is a certified Comprehensive Pilates Instructor of Pilates Evolution (PMA approved) and a Les Mills BodyBalance™ AIM2 Advanced Instructor. Previously an IT consultant, John fell in love with these 2 programmes since 2001 as a participant and has been teaching Les Mills BodyBalance™ since 2003. He has been teaching equipment and mat Pilates since 2005 focusing on reconditioning the body with proper biomechanics and movement. John has also attended workshops on Pre- and Post-Natal Pilates and Myofascial Release (both from the Centre of Women's Fitness). In VISIONPiLATES, Kai Li is our BOWEN Therapist. She is also our Key Instructor for Group Reformer, Mini Courses Reformer/Mat, Pilates 101 Mini Courses series and Starter Pack for Beginners. She also conducts Private, Duet or Trio Pilates sessions, private Diastasis Recti Recovery™, Pre/Post-Natal and Rehabilitation (Slipped Disc, Socliosis, etc) clients. Kai Li, was first introduced to Pilates as it was part of Les Mills BodyBalance™ programme and obtained her first international instructor certification in 2008. Later, she was reintroduced and recommended by her Orthopaedic to help rehabilitate her herniated disc, sciatica and piriformis syndrome. She then quickly began to feel the benefits of practising Pilates help to strengthen her back, minimising her pain and learning the awareness of neutral alignment for deep postural muscles. During her Pilates rehabilitation programme, she was inspired by her trainer Ginny’s coaching techniques and her encouragement to move further, she then took up her first Pilates teaching certification training and aims to discover deeper the advantages of a consistent Pilates practise. 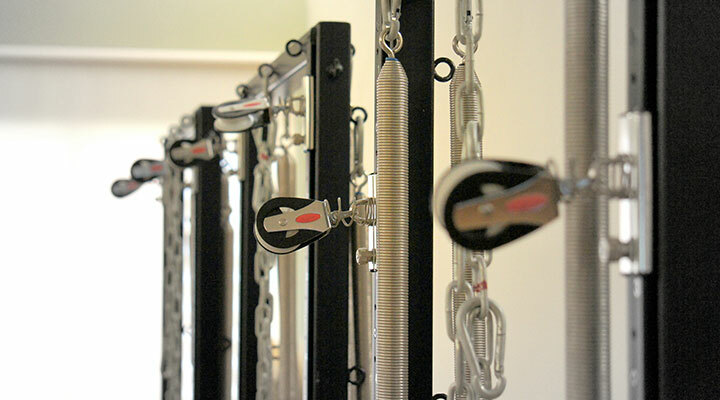 Kai Li was trained under Polestar Pilates® Mat Series Level 1 & Level 2, STOTT PILATES Intensive Mat Plus (IMP). She is internationally certified Pilates Instructor under Pilates Academy International (PAI) for Anatomy, Biomechanics & Posture Analysis (ABP), All Populations Mat (APM) and All Populations Reformer (APR), also trained in All Populations Cadillac, Chair and Barrels (APCCB). In addition, Kai Li obtained her certificates from Carolyne Anthony of The Center for Women's Fitness for her Myofascial Release Techniques, The Center Method for Diastasis Recti Recovery™ and Pre- and Post-Natal Pilates Specialist Program™. Besides Pilates, she is also a Yoga instructor trained under Sun Yoga RYT 200 hours certification by Dr Jacqueline Koay and obtained her kid Yoga certification in 2009. As a Pilates practitioner and instructor, Kai Li continuously inspired by how Pilates re-educates and heals the body. She enjoys working with people of all fitness levels, she likes to make each class challenging, but also encourages her clients to have fun, and enjoy Pilates and all of its benefits. 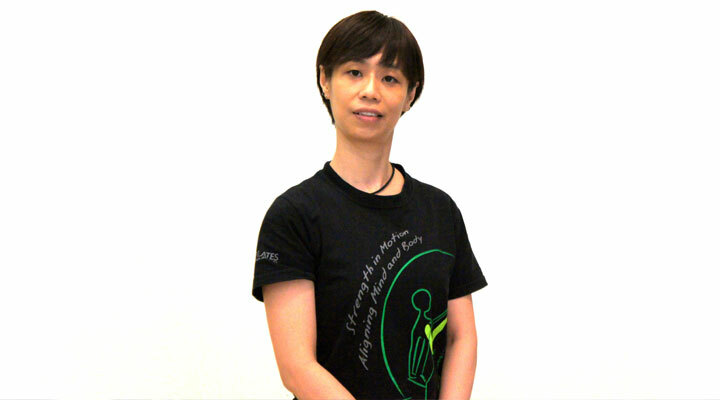 Kai Li looks forward to advancing her Pilates education into more focus on rehabilitation and women health. In addition, Kai Li has completed her BOWEN Therapy course - a holistic remedial body technique that works on the soft connective tissue (fascia) of the body under BOWEN Therapy Academy of Australia (BTAA). BOWEN therapy can be used to treat musculoskeletal or related neurological problems including acute sports injuries and chronic or organic conditions. BOWEN therapy is performed on the superficial and deep fascia. Kai Li also obtained her Cardiopulmonary Resuscitation (CPR) and Automated External Defibrillator (AED) certification. In VISIONPiLATES, Pei is the Trained Instructor for Group Mat and Mini Course Mat. She teaches Private Mat Pilates clients too. 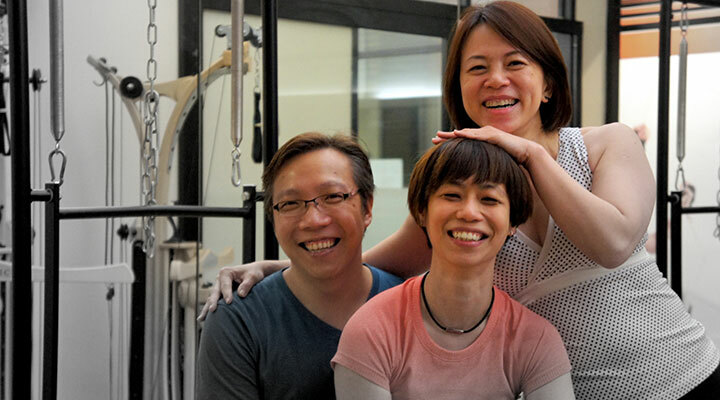 Since Pei first discovered Pilates in 2007, after her first Pilates mat class, she was hooked! 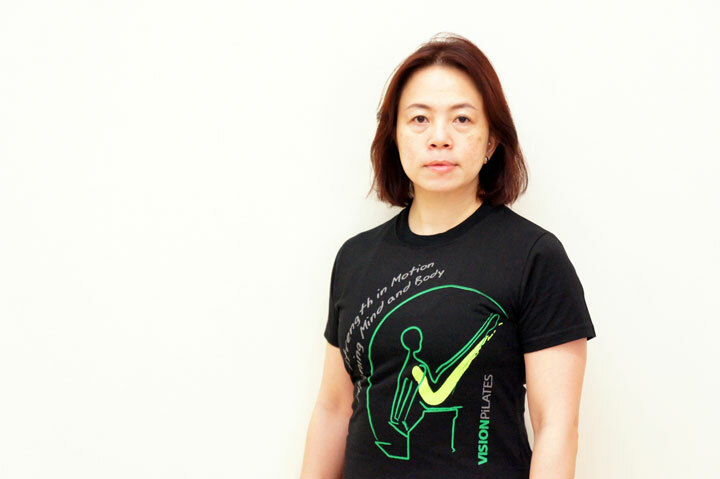 She fall in love with Pilates deeply and attended classes in Scotland and Malaysia regularly. 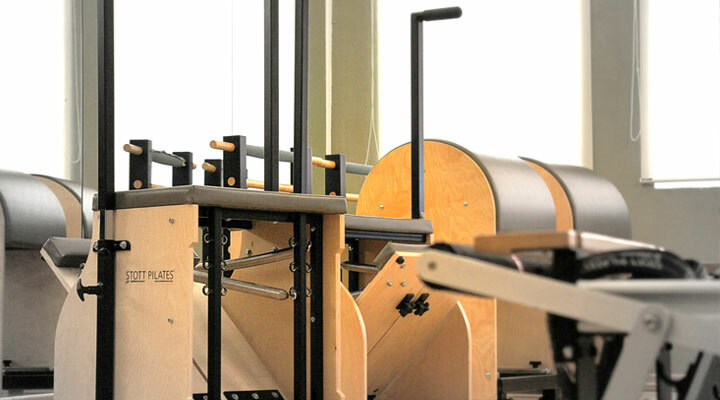 In 2012, Pei has encountered another transformation of her Pilates experience on Pilates Reformer. What Pei had gained from her Pilates practice in mat and reformer since then, she decided to inspire others and was trained under STOTT PILATES Intensive Mat Plus (IMP), Advance Mat (AM), Intensive Reformer (IR) and Injuries Special Populations (ISP). Besides Pilates, Pei is an Astanga Vinyasa Yoga practitioner, she loves the dynamic style of Astanga Vinyasa that boost her stamina and power up her strength! Pei is also a PADI certified advanced open water diver. She started her scuba diving experience in year 2007. She has learned how to engage her core muscles maximum for better buoyancy control in scuba diving. The quietness of underwater world also gives her chance to concentrate on breathing practice underwater. The scuba diving experience has helped her to inspire and seize her infinite potential. With her continuous practice and encounters in Pilates, she hopes to spread and sustain her Pilates knowledge with all Pilates lovers! At VISIONPiLATES, we strive to make every visit for our clients productive and pleasant. To do so, we ask that all clients adhere to our Studio policies. These policies are in place to ensure that all client expectations are met and all are treated fairly. Please read our Policies carefully and get a clear understanding before you committed yourself for any packages offered in our Studio.